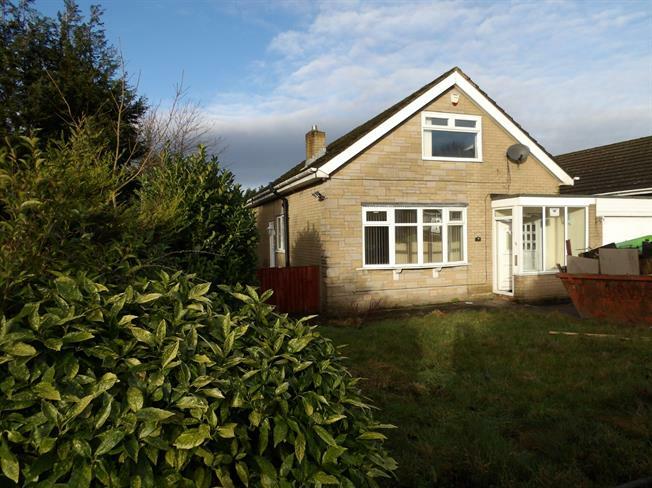 3 Bedroom Link Detached House Bungalow For Sale in Nelson for Offers in the region of £160,000. Newly refurbished three bedroom link detached dormer bungalow! Situated on large plot providing off road parking to front, garage and gardens to front and rear. In brief porch into lounge, downstairs bedroom, downstairs bathroom suite, stunning kitchen with island overlooking gardens. A dining room off the kitchen leading into the conservatory. To first floor, two bedrooms both with fitted wardrobes and cloakroom. No Chain! Double glazed window to front and door leading into lounge. Double glazed window, radiator, gas fire with surround, one ceiling light point and tv point. Downstairs bedroom, double glazed window, radiator and one ceiling light point. Walk in shower, vanity unit housing wash hand basin, low level wc, frosted double glazed window, tiled flooring, radiator and spot lighting. A range of wall and base units with contemporary work surfaces, range oven, kitchen island, tiled flooring, spot lighting, radiator and patio doors. Patio doors into conservatory, radiator and spot lighting. Overlooking gardens to rear, wood flooring and one ceiling light point. Velux window, radiator and spot lightings. Double glazed window, radiator and fitted wardrobes. Low level wc, wash hand basin, tiled flooring, radiator and spot lighting. Patio area, fenced perimeter and mostly laid to lawn area.